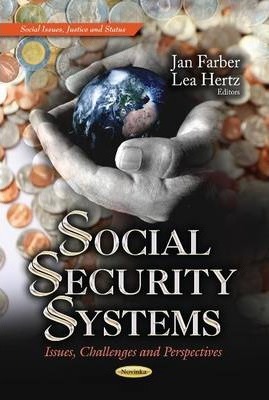 In this book, the authors present current research from across the globe in the study of the issues, challenges and perspectives of Social Security Systems. Topics discussed in this compilation include understanding elderly poverty in the United States; the development and reforms of the Social Security system in Taiwan; Social Security systems in Eastern and Southern Africa; and an overview of the major issues concerning developed Social Security systems in the Organisation for Economic Co-Operation and Development (OECD) by comparing welfare models and their ability to cope with the upcoming challenges in the short and medium terms. Preface; Understanding Elderly Poverty in the United States: Toward Informed Policy; The Development & Reforms of the Social Security System in Taiwan: Issues, Challenges & Perspectives; Social Security Systems in Eastern and Southern Africa: Issues, Challenges & Prospects; Social Security at a Crossroads on Social Securitys Ability to Cope with Future Challenges; Index.